A new Holocaust exhibit opened at National Infantry Museum in honor of WWII war hero. A new Holocaust exhibit opened at the National Infantry Museum over the weekend in honor of Aaron Cohn, who served during World War II for the U.S. 3rd Armored Cavalry and participated in the liberation of a concentration camp in Austria. “He was a wonderful hero,” said the late judge’s daughter Gail Cohn at the exhibit’s opening in Fort Benning, Georgia over the weekend, according to WTVM radio station. “The reason was because he lived his values. He didn’t just talk about them and expect you to do them, he modeled them." In a video that was shown at the exhibition’s opening, Cohn recalled his experiences liberating the camp. Cohn did just that. Following his service, he became a juvenile judge in Columbus, Georgia, remaining steadfast to his commitment to fighting for and preserving justice. 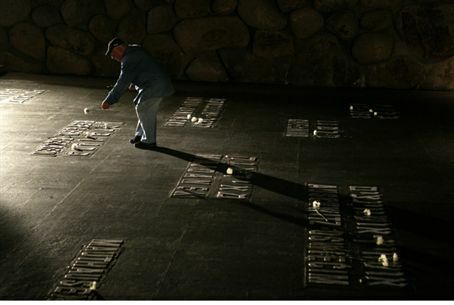 “He often talked about the Holocaust and the lessons that it gave us. And, the lessons that it gave us is that we had to speak up and speak out against injustice. We had to fight for the good. We had to take care of this democratic country of ours,” his daughter said. Maj. Gen. H.R. McMaster, the commanding general of the Maneuver Center of Excellence and Fort Benning, called Cohn an "example for all of us," The Ledger- Enquirer reported. He called the defeat of the Nazi regime “a real victory for our nation and all of humankind, a victory won by men like Judge Cohn." The exhibit pays tribute to the 35 American infantry and armor divisions that liberated the concentration camps on the Western Front. It does so with videotaped first-hand accounts from both survivors and liberators, as well as text and photographs.